among themselves. They were soon at war with each other, the co-called Wars of the Successors, as each man fought to increase his share of the spoils. They made and broke alliances with each other cynically and effortlessly, with Ptolemy showing himself no different from the others. entire Hellenistic age, and even patronized the mathematician Euclid. Ptolemy ruled Egypt first as satrap and then as its king and Pharaoh for forty years, until he died of natural causes in his early eighties. On his death, his son, Ptolemy II, succeeded him, and the Ptolemaic dynasty was thus established. It was the longest-lived of all the Hellenistic dynasties, falling with Cleopatra three centuries later. As a king, soldier, statesman, and intellectual, Ptolemy was one of a kind, but, unlike Alexander, he never forgot his Macedonian roots. Against all odds, Ptolemy fought off invasions, invaded opponents' territories, and established an Egyptian empire, making his adopted country a power with which to be reckoned. 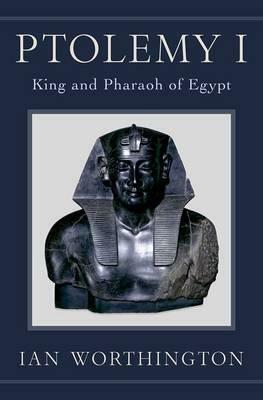 His achievements shaped both Egypt's history and that of the early Hellenistic world.